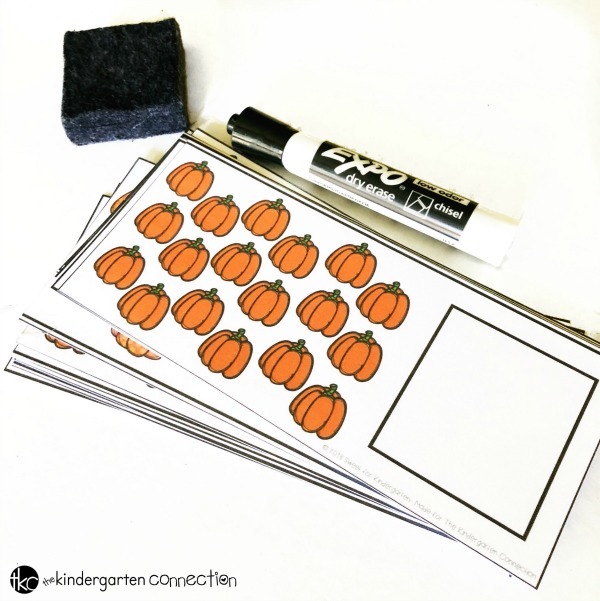 FREE Dry Erase Pumpkin Counting Cards for Kindergarten! Pumpkin themed activities are a fun way to celebrate fall in your classroom! In my class, we have a “pumpkin week”, where all of our lessons, activities, and centers are pumpkin themed. One of the skills we work on around this time is one to one correspondence. One to one correspondence is the ability to count each object once, to find out how many. 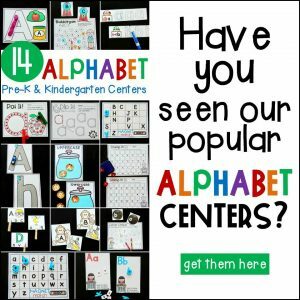 There are plenty of different ways to help your students learn how to properly count using one to one correspondence. 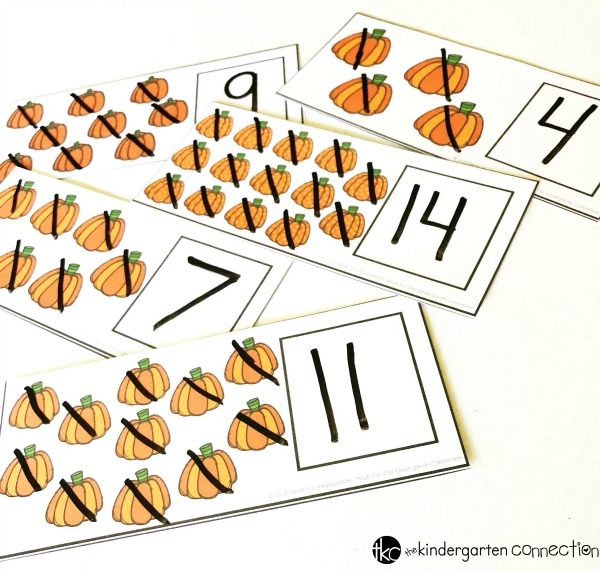 Today, I am going to share these Dry Erase Pumpkin Counting Cards that your students can use to practice this skill! 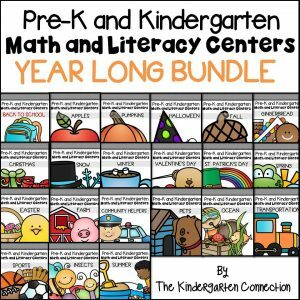 *Pair this with our Pumpkin Centers and Activities! 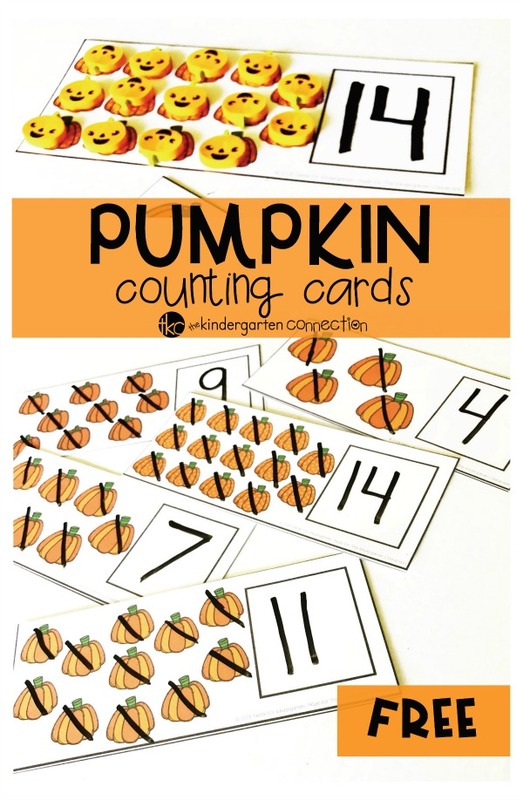 These pumpkin counting cards come with the numbers 1-20. 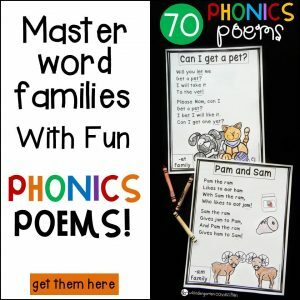 You will need to print, cut, and laminate each card. A student will pick up a card and count the pumpkins. They will write the number in the box with a dry erase marker. Then, they will erase the number and pick another card and continue until all the cards have been counted. Some students may have trouble with one to one correspondence if they are just looking and counting. They may skip over a pumpkin or count a pumpkin twice, resulting in the wrong answer. As students count, they place a small item, like mini erasers, bingo counters, or connecting cubes, on top of each pumpkin. Once all of the pumpkins are covered, they will know they counted correctly. This option is great for kinesthetic learners, because they are using their hands and moving objects to help them count. Another way to practice this skill is to use the cross and count method. As students count, they cross off each pumpkin with a dry erase marker. This ensures that they are counting all the pumpkins correctly. I always teach my students to use this method all the time, especially if they are trying to count a bigger number. 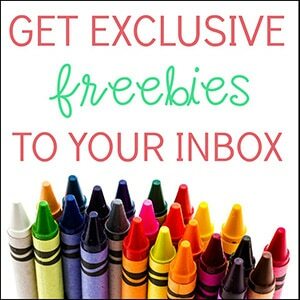 One to one correspondence can be a tricky skill for Kindergartners to learn. 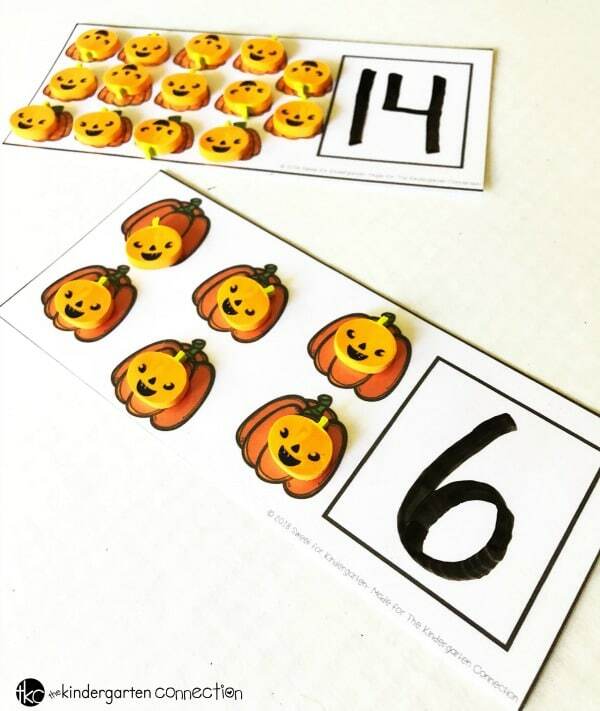 These pumpkin counting cards will help your students improve their counting skills and are perfect for your fall math center rotations, small group practice, or as an early finisher task. I hope you enjoy using these in your classroom! 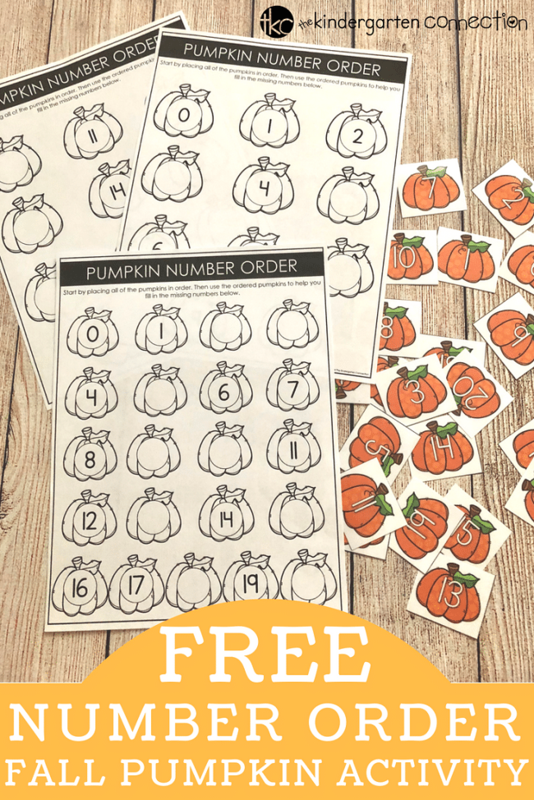 If you’re ready to print your FREE Dry Erase Pumpkin Counting Cards, then click on the large, yellow button below! Then, hop on over to see our Number Order Pumpkins (numbers 0-20)!